The Between is a horror novel by Tananarive Due. 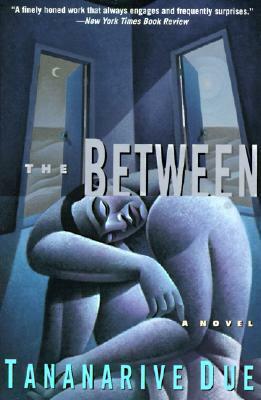 I was pleasantly surprised by The Between! I have had Tananarive Due on my TBR for so long. The Ladies of Horror Fiction team decided to choose her debut novel for our Women in Horror Month readalong and wow! If this is her debut, I am in for a treat with the rest of Due's catalog! There were so many layers to The Between and they were all expertly woven together. It's a relatively short book at a little less than 300 pages. I don't want to give anything away so I'll just say this is an excellent place to start if you haven't read anything by Tananarive Due yet. I wanted to read this one last year and never got to it. I even checked it out from the library. I've read two by this author - Joplin's Ghost and The Good House and loved them both! I need to get my hands on this one soon!! Don't you love it when a book exceeds expectations? It is shameful that I've never read work but had this book in my tbr for years and years. I'm so glad we all picked it as a LOHF readalong!